More than 120,000 in print! Read a Q & A with Francine Shapiro, our January 2018 Author of the Month! 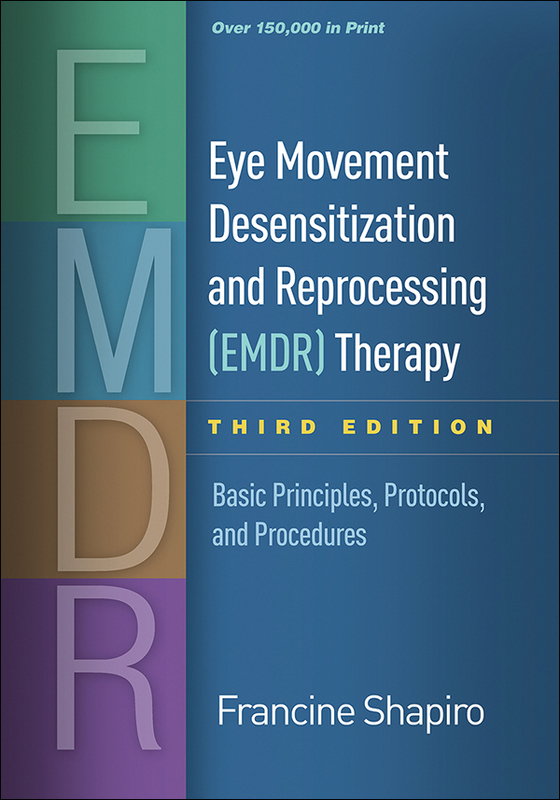 The authoritative presentation of Eye Movement Desensitization and Reprocessing (EMDR) therapy, this groundbreaking book—now revised and expanded—has enhanced the clinical repertoires of more than 100,000 readers and has been translated into 10 languages. Originally developed for treatment of posttraumatic stress disorder (PTSD), this evidence-based approach is now also used to treat adults and children with complex trauma, anxiety disorders, depression, addictive behavior problems, and other clinical problems. EMDR originator Francine Shapiro reviews the therapy's theoretical and empirical underpinnings, details the eight phases of treatment, and provides training materials and resources. Vivid vignettes, transcripts, and reproducible forms are included. Purchasers get access to a Web page where they can download and print the reproducible materials in a convenient 8½" x 11" size. Over 15 years of important advances in therapy and research, including findings from clinical and neurophysiological studies. New and revised protocols and procedures. Discusses additional applications, including the treatment of complex trauma, addictions, pain, depression, and moral injury, as well as post-disaster response. Appendices with session transcripts, clinical aids, and tools for assessing treatment fidelity and outcomes.